← March 23rd! Continental Club Houston! Do you feel lucky, punk? Well, do ya? 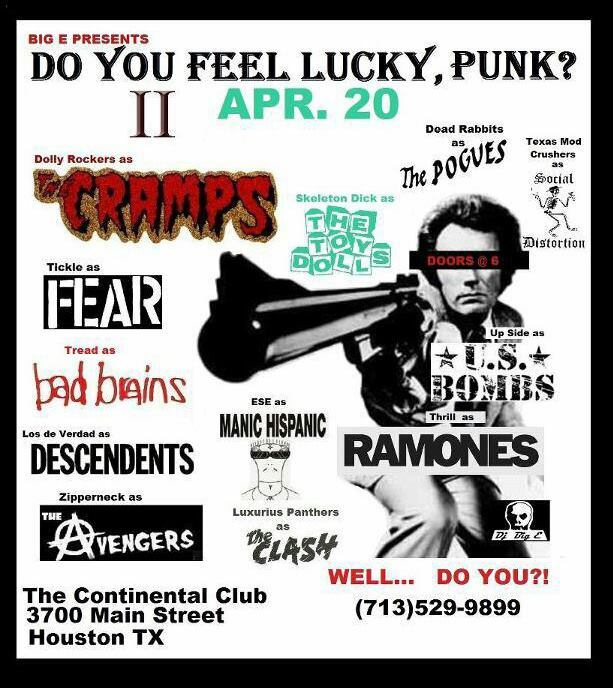 On April 20th (4/20, yo), Texas Mod Crushers will be playing a tribute to one of our favorite bands – Social Distortion. Check the flyer below for the full list of bands and the bands they are performing as. This was a blast last year, and we’re really excited about being able to play this show. Hope you can make it!